Goldman Sachs is relaxing its dress code, as the Wall Street giant moves toward a more casual workplace. The investment bank announced the "firm-wide flexible dress code" in an internal memo, urging employees to use "good judgement" in their fashion choices. Goldman Sachs loosened the dress code for its tech division in 2017, in a bid to appeal to top talent. Other banks like JP Morgan have taken similar steps. In a widely cited memo, the US bank said the "changing nature of workplaces generally in favour of a more casual environment" had prompted the move to a "firm wide flexible dress code". "Casual dress is not appropriate every day and for every interaction and we trust you will consistently exercise good judgement in this regard," the memo read. Goldman's announcement is aimed at bringing the bank's policies up to date for its younger workforce. More than 75% of Goldman employees are members of the Millennial or Gen Z generations - people born after 1981. 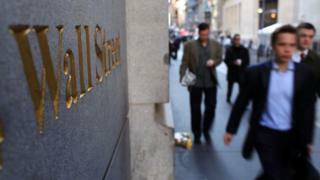 The memo was signed by the investment bank's top executives including chief executive David Solomon. Mr Solomon - also an electronic dance DJ - marks a new era of leadership for Goldman Sachs after 12 years under the helm of Lloyd Blankfein. He has promised more transparency while the bank has also made strides into retail banking. Goldman Sachs, the world's most influential investment bank, has faced criticism for its role in the global financial and euro zone debt crises. It was famously described by Rolling Stone magazine as the "great vampire squid wrapped around the face of humanity" for its relentless pursuit of money.